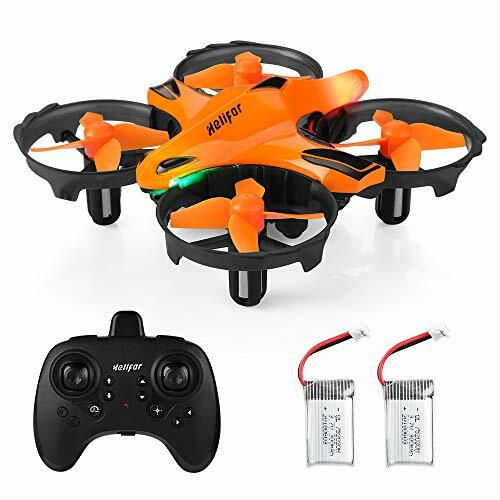 --- this product has 2 different mode of remote control, you can use the remote control to control the flight, or you can fly through infrared interactive detection. 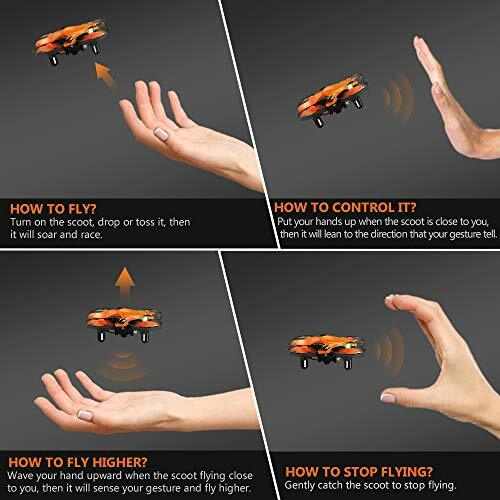 --- The launch flight function does not require a remote control, The body is shaken by itself until the rotation of the drone engine, you can release your hands, so the drone can fly. 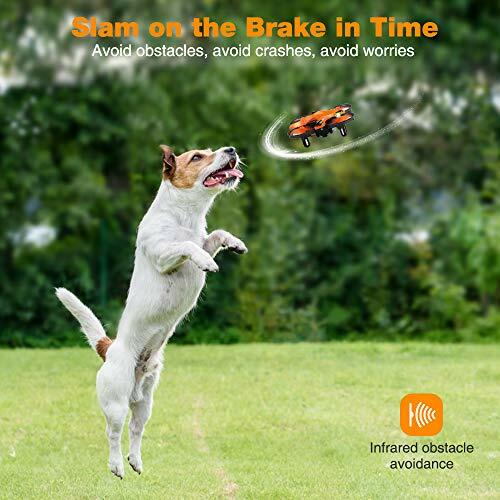 ?Infrared Obstacle Avoidance: turn on the infrared obstacle avoidance function, which can prevent the collision of the H803 rc drone when encountering obstacles during flight. 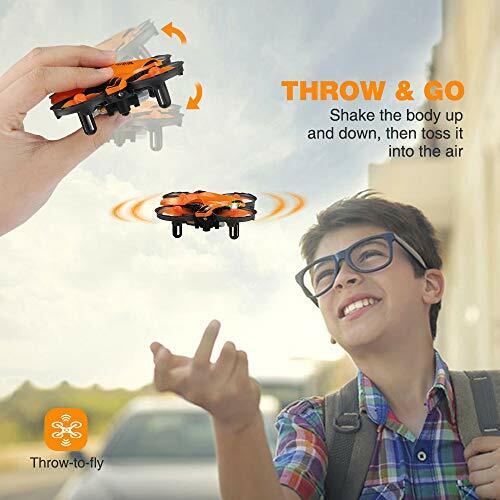 ?Throw Flying Function: even without the remote control, just need to shake the body of to easily fly the drone normally. It simplifies the startup process and start flight as soon as possible. ?Altitude Hold: equipped with advanced barometer, so that the drone can maintain a stable height, making it easier for beginners to control, no need to worry about falling during flight. 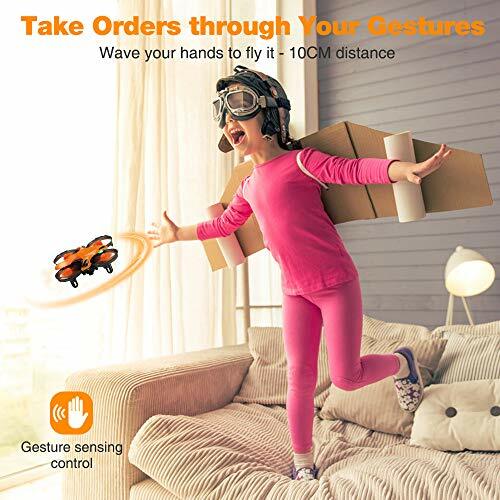 ?Gesture Sensing Function: under the air pressure setting function, the infrared sensor can be turned on and the aircraft can be easily manipulated by gesture sensing. 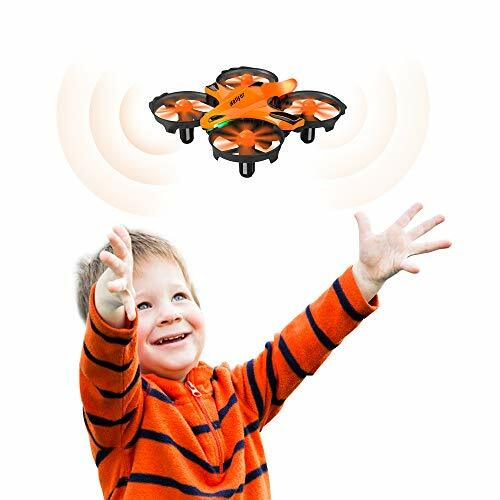 ?Headless Mode: The headless mode function allows you to easily control the flight direction of the drone when the drone is flying farther. You don't have to worry about the missing of drone.